Happy 2018! I hope the year is off to a wonderful start for you, its certainly going to be an interesting one. I kicked the year off busy with raising our third venture fund and speaking across the state. At the end of January, I traveled to LA to deliver the keynote address at the 2018 VerdeXchange conference. Last month I joined a panel of business and community leaders to select the winners of the annual Westly Prize for young social entrepreneurs. I’d also like to share with you my recent op ed, Six Ways California Can Prevent Devastating Floods, along with a few a thoughts as we start 2018. I have always believed we all have a responsibility to help and guide the next generation. It's that principle that drove Anita and me to create the Westly Prize — the cash prize awarded to social entrepreneurs age 28 and under given each year. Out of a huge rush of applications, our selectors had the difficult task of narrowing those to just ten finalists. Each January, the finalists come to Silicon Valley to tell their stories about changing the world. After a day of seeing the change and impact these young people are making, we were all inspired by how transformative their ideas truly are. 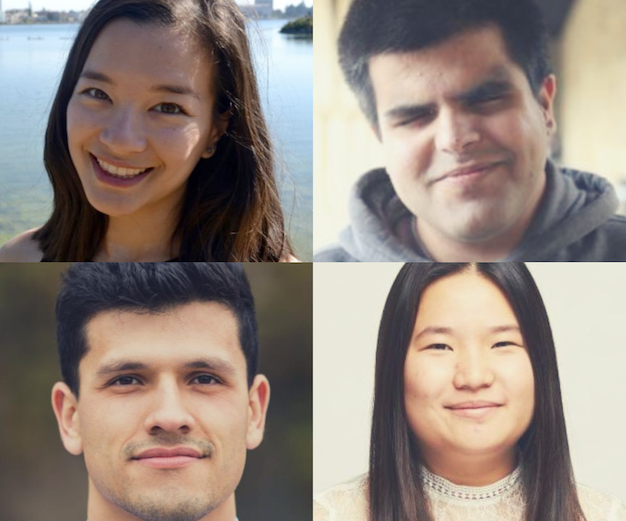 These young people have incredible backgrounds that would make it very easy to join hot companies and earn large salaries, but they're choosing to do something much more impactful with their lives. Ben Alemu for example, has not even graduated college yet but his organization, SENDforC, has built a network of mentors that provide service programs and entrepreneurial initiatives to underserved schools. It is never an easy task to select winners from such a talented group. Kana Hammon - As a young professional working in tech, Kana looked for a meaningful way to contribute to her community. So she mobilized a team of millennials to create YCore, which runs a fellowship to equip young professionals with tools to make life-long contributions to local nonprofit organizations and their own communities. With more than 5,000 hours donated at a value of almost $1M dollars, YCore is already making an impact. Kevin Madrigal - A child of immigrants, Kevin built Farming Hope with a Stanford colleague to create job opportunities for the homeless. By providing training and transitional jobs in urban agriculture, catering, and cooking for pop-up dinners, Farming Hope brings the housed and homeless together to turn the soup kitchen model on its head. Miranda Wang - Since running the Environmental Club in high school, Miranda and her co-founder have been dedicated to solving the problem of reducing the amount of unrecyclable plastic waste that goes into landfills and the oceans. They created an innovative chemical process to convert that waste into useful, sustainable materials, which they are piloting and scaling up in San Jose through their venture, BioCellection. Kartik Sawhney - Its not easy being born blind in India. Few people expected Kartik to graduate from high school, and no one saw a future for him in computer science. But STEM fueled his passions, and he succeeded in getting accepted at Stanford University. Arriving in Silicon Valley, he created a non-profit called NextBillion, providing career mentors and support to people with disabilities interested in tech. With mentor pairs in 10 countries, NextBillion is unlocking the potential of talented people with disabilities who are changing the lives of people around the world. Watch the highlights from this year's Westly Prize Demo Day! California's infamous droughts have now created major risk of serious flooding. According to UC Berkeley scientists, Sacramento recently surpassed New Orleans as the American city most in danger of flooding. 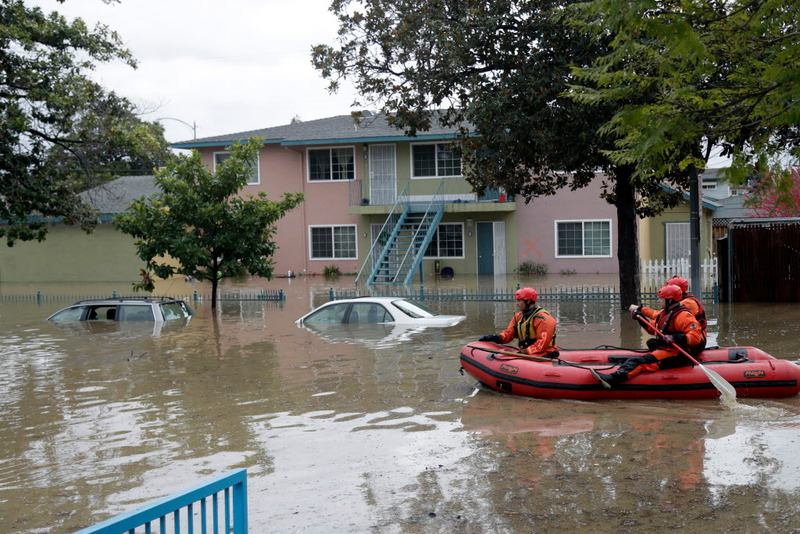 After the destruction caused by hurricanes on Texas and Florida, Californians would be well served to prepare for massive floods. Climate Change and "100 year droughts" are increasingly linked to flooding, whether you are in a hurricane zone or not. Warmer air holds more water vapor, leading to dramatically increased rainfall, while higher sea levels from a warming climate intensify storm surges. California is already feeling the effects of climate change: more of our precipitation now falls as rain instead of snow, so the snowpack that normally provides water for our state into the spring has shrunk to lower levels than ever. Instead of being slowly released from melting snow, water is increasingly rushing into rivers all at once, resulting in overflow and flooding. In 50 years, as the earth warms, the San Joaquin River flow is expected to be 60 to 80 percent greater than it is today. 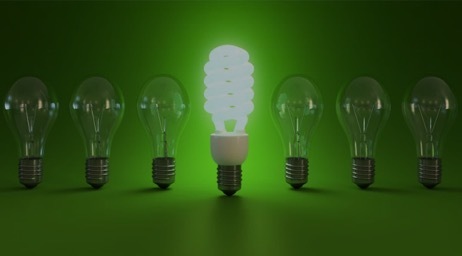 Use green technologies like electric cars, solar energy, LED lighting, etc. to slow the warming of the climate. Push for federal action to slow climate change like California’s cap-and-trade program. Restrict building in flood plains. Despite the obvious risk, cheap land in flood plains continues to attract developers. Fully fund the Central Valley Flood Protection Plan. This plan isn’t cheap but the cost of a massive flood in Sacramento alone would cost at least $25 billion. Use new flood warning and mapping technologies like MIT developed RiskMap.us that gathers real-time, crowd-sourced flood reporting. I was born in LA and like just about everyone else, we would go the beach. What sticks out in my mind now is that when you went to the beach back then, your parents would have to pack kerosene or turpentine because they would have to use it to wipe the tar off your feet after being on the beach. We lived in a "oil age" where the nine largest market cap companies in the world were oil and car companies—and we didn't think much about oil spills. These companies largely dominated the global economy and a lot of government regulations were tailored to their needs, more than to the public's. That's changing rapidly as 8 of the 10 largest market cap companies in the world are now tech companies, and they will continue to be the driving force in the 21st century economy. This month, I delivered the keynote address at David Abel's clean energy conference, VerdeXchange, speaking on the revolution in resource efficiency. Norway has already moved to ban oil and diesel vehicles by 2025, while Britain, France, and India have banned the sale of gas and diesel cars by 2040. The maritime technology firm, Kongsberg Gruppen ASA, will soon begin deploying its autonomous cargo ships, making the seas safer and cleaner. When maritime disasters due to human error are ended and up to 15% less fuel is needed, its easy to see how this change in shipping will be seen as revolutionary. Even The Kentucky Coal Museum has embraced clean energy and just last year switched to solar power because it's cheaper. The resource efficiency revolution isn't just coming, it's here! Lastly, I'd like to share an example of a great company that is attacking the world's garbage problem head on and all while continuing to grow. One of the Westly Group portfolio companies Enerkem, is a world leading municipal waste-to-biofuels company solving two major problems. 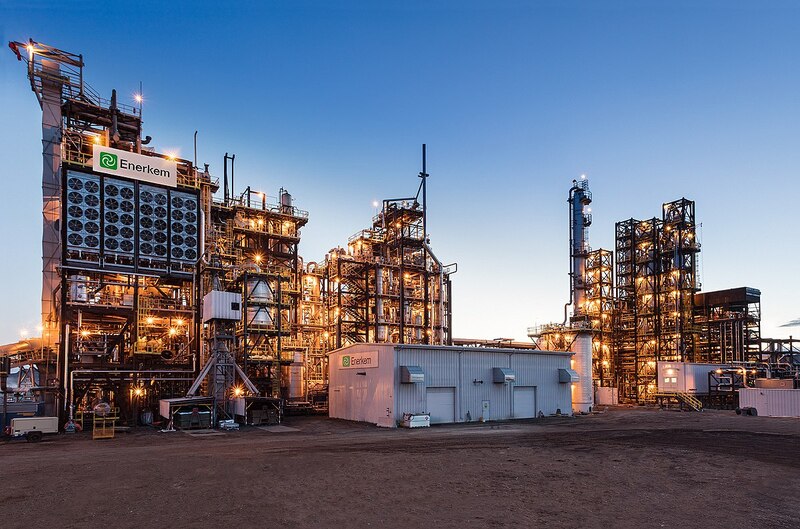 First, the company helps cities reduce municipal waste by 80% while creating low cost ethanol by using a proprietary thermo-chemical process that turns municipal waste into valuable ethanol. Second, this company creates high paying building trades jobs in cities. The company is growing quickly and just announced in January that it had raised $125M. Their lead investor, the Sinobioway Group from China, is committing to building 100 plants in China over the next 15 year! We would do well to take a serious look at what China is doing and start investing less in border walls and more in ares that will drive job growth and opportunity in the 21st Century global economy.